We've studied Santa Claus in English (twice, even! ), French, Italian, Polish, German, Spanish, Dutch and a handful of other languages. We even mapped references to various accompanying figures who dole out the punishments so that Santa doesn't have to. But which of these representations of Santa Claus is the most prevalent? According to our tallies, plain ole Santa Claus is still the most wonderful of them all, as one might expect. But when comparing references to the top 10 versions of Santa Claus, a spatial mosaic of Christmassy cheer is evident, with each version of Santa existing in a somewhat clearly defined region, but with plenty of overlap. Just because references to Santa Claus are the most prevalent doesn't mean he can't coexist with alter-egos Père Noël, Weihnactshmann and Sinterklaas. Indeed, they seem to be getting along just fine. Whether one is a Christian or not, the prevalence of Christmas celebrations around the world - not to mention the rampant consumerism built up around it - has made Santa Claus a lovable figure no matter what one believes, or even where one lives. But as we've shown in the eleven posts leading up to this finale, people celebrate Christmas differently in different places (and why wouldn't they?). But so what? What does mapping references to Santa Claus in Google Maps have to do with anything? Like all Floatingsheep maps, we're attempting to connect the daily, lived practices of people to digital representations of those practices. By seeing that Polish Christmas characters show up almost exclusively in Poland, and similarly for any other country, it's easy to see how, while imperfect, the digital representations yielded by Google Maps are very much reflective of the many people's offline realities. No matter what you each may believe, a Merry Christmas to all, and to all a good night! p.s. see you in the new year! In this post we've decided to explore the less joyful side of Christmas. 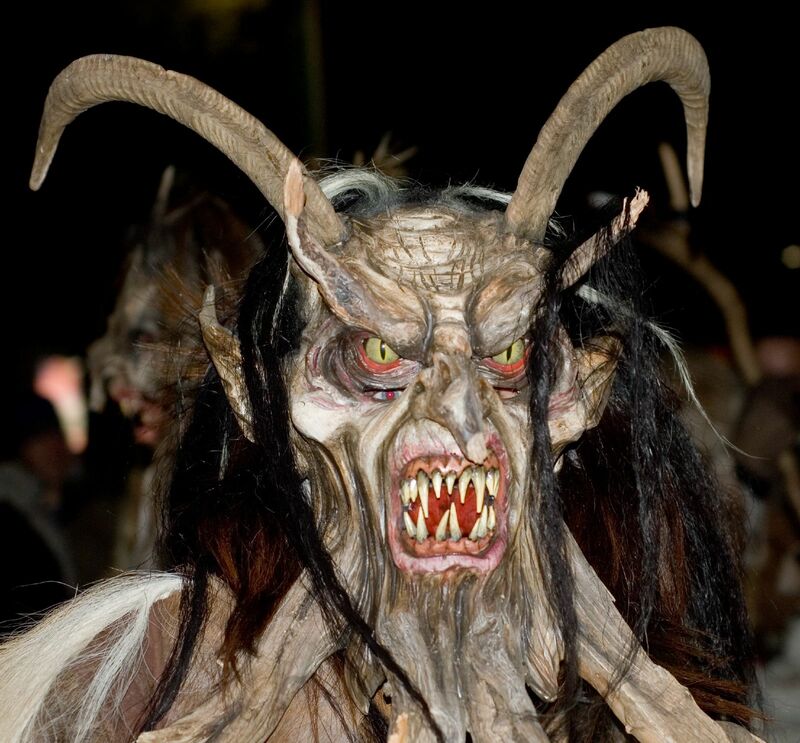 We conducted searches for three characters -- Zwarte Piet, Le Père Fouettard and Krampus -- that have a habit of dishing out punishments to bad children over the holiday season. Which of these three characters would you least like to have over for tea? 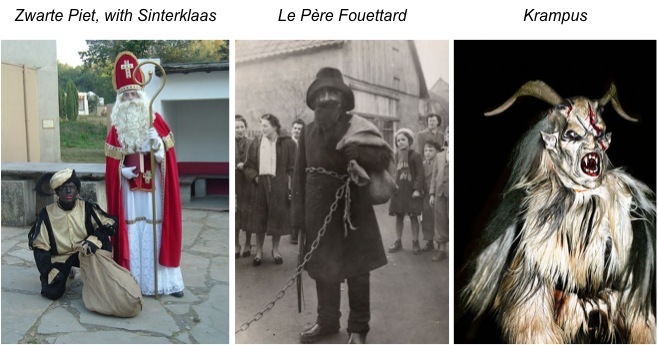 Well it turns out that while both Zwarte Piet and Père Fouettard have a penchant for dishing out floggings to children (and for some reason abducting them to Spain in the case of Zwarte Piet), it is the not-too-photogenic Krampus that draws the line at scaring children with bells. It also is rumoured that Austrian fascists weren't too keen on the guy. In the spirit of the my enemy's enemy proverb, we decided to see how Krampus performed in online visibility compared to his child beating colleagues. It turns out, not too badly. 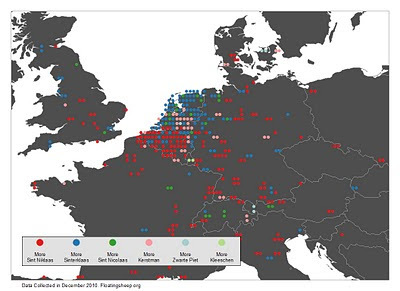 As would be expected, Zwarte Piet is most visible in the Netherlands and Père Fouettard is most visible in France. Belgium is evenly split between the two, so poorly-behaved, Flemish-speaking Belgian children can expect their whippings from Zwarte Piet and French speakers can expect beatings from Père Fouettard. 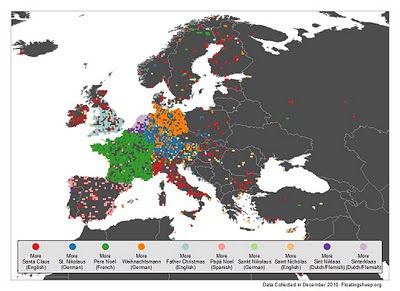 Zwarte Piet also seems to make brief appearances in Berlin, Venice and London, but it is Krampus who really has the most geographic mobility, with sightings all over Europe. We're not sure what they moral of this tale is, but if you see an ugly, horned monster-like creature speaking Austrian German wandering about your neighbourhood, try not to panic. Our comparison for terms in Italian are "Babbo Natale" and "La Befana", which we are the first to admit are not directly comparable. La Befana is an old witch (seemingly relatively benign) who brings presents/coal to good/bad children on the eve of Epiphany (in January), which is when some traditions say the Wise men showed up. We thought that Babbo Natale is simply the Italian version of Santa. 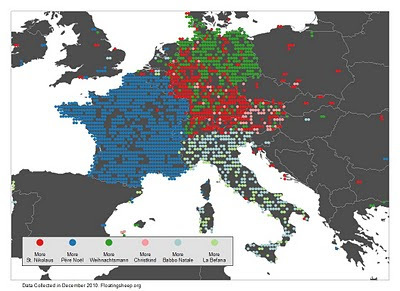 We can't say that the map below shows much pattern between these two characters, but it does act as a nice depiction of the range of Italian in Europe: primarily spoken on the "boot" (and Sicily and Sardinia) but crossing national borders in the north. What we were not expecting to find is that Babbo Natale is considered by many to be an invention of Coca Cola as a marketing device. Even more shocking is that some view Coca Cola as a non-authentic cultural actor rather than a bringer of light, goodness and carbonated beverages (OK, we're kidding about the last point). Still, it again highlights the complexity of the Christmas tradition in cultures other than one's own. The historical equivalent of Santa Claus in the Italian tradition, according to our trusted local informant, is "Presepe" or "Gesù Bambino", the new born Jesus. In hindsight, it could have been very interesting to compare Gesù Bambino to Babbo Natale in order to see the differences between traditional Italian practices and corporate marketing. Sadly, we didn't have Gesù Bambino on our search list and we'll have to wait until next year. The Twelve Posts of Santa, Part II: Who are all these old men with bushy beards? We've all heard about these old men wearing red outfits and sporting bushy white beards. But who are they really? Santa Claus or Father Christmas? We decided was about time to figure out who these dodgy characters are. Over the next eleven posts, we will be mapping references to the many names given to these old men (and women! and other creatures, too!) that we've collected, as documented in Part I of our series. In this post we compare references to Santa Claus and Father Christmas in the British Isles. 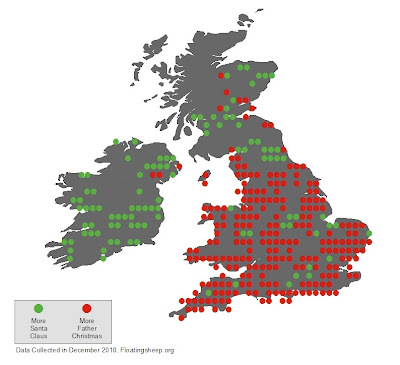 We see that Father Christmas is far more likely to be inscribed on the Christmassy landscape in England and Wales, while references to Santa Claus are more prevalent in Scotland and Ireland. Father Christmas is traditionally associated with being the gift bearing bearded old man that visits children in the UK. 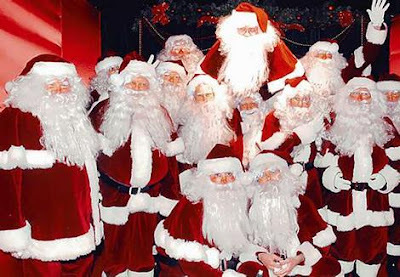 So why do we see so many references to Santa Claus in Scotland and Ireland? Is this a cunning celtic plot to usurp the hegemonic British gift-giver (albeit replacing him with a central character in American culture)? Based on our research, the Irish generally refer to this bearded old man with his nickname, "Santy". 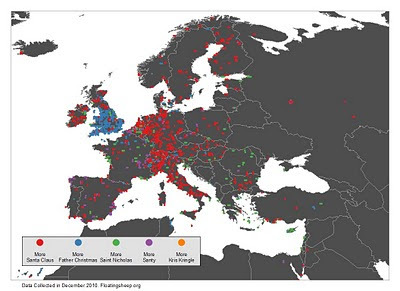 Our preliminary mapping failed to show a significant number of references to Santy, so perhaps the prevalence of the bearded man's full name in the cyberscape is indicative of the jolly guy's efforts to be taken more seriously amongst the Irish. Passing out gifts to billions of people in a matter of less than 24 hours is a lot of work, and Santa Claus doesn't appreciate his work being trivialized. In addition to power of maps in shaping world views that we highlighted in the previous post, we neglected to point some of the more prosaic (albeit powerful) uses of maps. Unfortunately these applications likely work best with paper rather than digital maps. Thanks to Martin Dodge again who keeps us well supplied with "good" mapping references. For those of you unfamiliar with MacGyver. In the last few years, we've seen how crowdsourcing has been employed for a range of important tasks including disaster relief in Haiti, monitoring the recent Kenyan elections, and now mapping the price of weed. This is a great example of how crowdsourcing can produce information that is simply unavailable otherwise. After all, there are no official price data on marijuana markets given its illegality. Quite an interesting distribution with cost rising as one moves west from the Pacific coast (with Oregon being the cheapest). Florida shows up as a low spot as well. 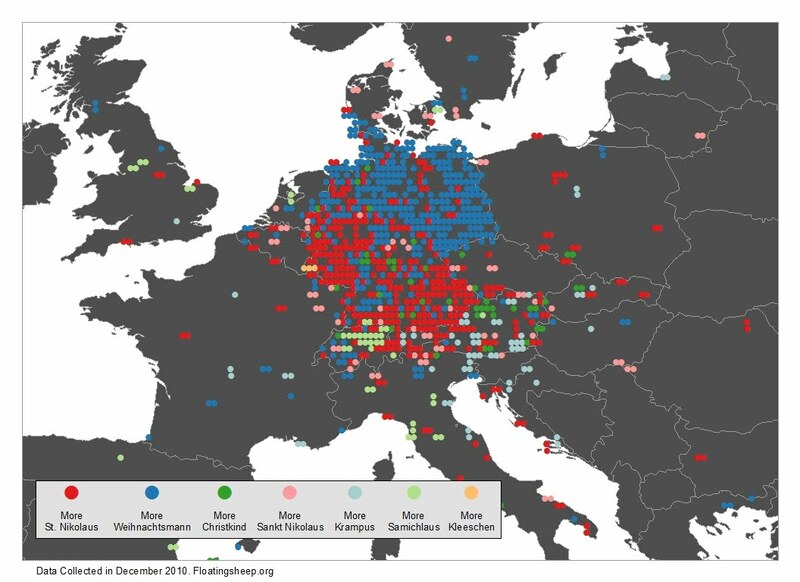 Both patterns are consistent with what is known about the geographies of production and distribution. Of course given the overall much lower reported prices for weed in Canada (is it subsidized? ), one has to wonder if this site will only serve to further increase the US trade deficit. We have previously done some analysis on the geographies of marijuana, if anyone wants to compare. One of the most interesting, and perhaps controversial, bits of information from the recent release of the Wikileaks US embassy cables has been the list of locations deemed vital to US security. Since this information is now in the public domain, we were interested in visualizing the data spatially. The first step was to take the rather messy data and identify individual entries. In some cases it was no more specific than "Indonesia: Tin Mine and Plant". In other cases it named a pipeline, a port, or a city in which an undersea cable made landfall. Next, using the worldatlas.com geocoder (as well as some Wikipedia entries), we (along with the much appreciated help of Zach U. and Tim B.) located an approximate latitude and longitude for each of the locations mentioned in the cables. We wish to emphasize that the locations in our mashup are only for the cities in which these critical facilities are located, and not the actual facilities themselves. In some cases, the location in the map is no more detailed than the country. 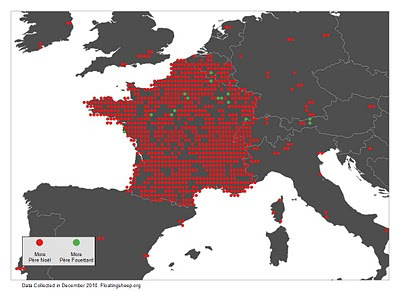 Given this relative inaccuracy, this map does not present any security threat whatsoever. 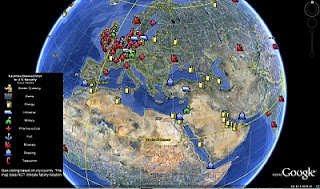 Moreover, all the data sets used for this geo-coding are openly available on the Internet and could easily be replicated by anyone. Our purpose is to visualize the patterns exhibited by this particular data set, which are illustrated below. The categories in the legend are our own classifications based on the information provided by Wikileaks (you can view a larger, non-embedded version of our mashup here, or download a KMZ file of the mashup here that should automatically load into Google Earth. The KMZ version also allows you to turn on and off categories as you wish). It is interesting to note that the vast majority of these facilities are not directly military-related. 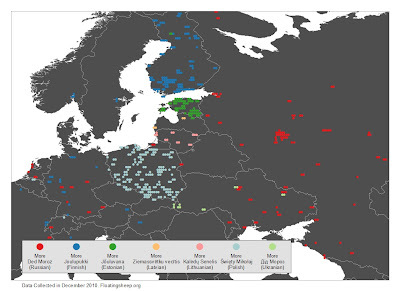 Even the ones that we mark as 'military' are related industrial facilities rather than actual bases. Instead, the list seems to focus on non-military topics such as telecommunications, energy and pharmaceuticals. 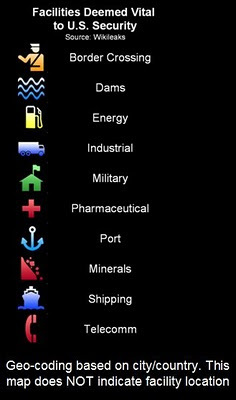 Much of the list is also focused on supplies of important raw materials (Bauxite, Chromite, and Rare Earth Minerals), as well as the ability to move products through ports and shipping channels. These data offer a fascinating insight into the ways that the national security priorities of the United States span the entire globe. This global web of essential facilities goes a long way to explain the fact that the US Department of Defense has more military facilities around the world than all other nations combined. The globalization of the world economy means that facilities that are vital to the communication, health, and economic needs of the U.S. are scattered across the planet; and this ultimately means that the U.S. (as well as other developed and developing countries) have to contend with new and changing notions of what "security" means in the 21st century. We are truly living in a network society. A choropleth map depicting the number of facilities in each country, made by some folks at University College London. A map of all the Wikileaks cables. And, a user-generated effort to plot the cables. Hardly a week goes by without there being some flare up about how a disputed border represented in Google Maps leads to real world consequences. Whether it was the Chinese labelling of place names in Arunachal Pradesh, or the recent confrontation over a mis-drawn border between Nicaragua and Costa Rica leading to an 'invasion', Google Maps has found itself at the center of some touchy geopolitical disputes. We're not the first ones to mention these disputes. Indeed, we rarely (and belatedly), if ever, comment on them. But because of the persistence of news stories on this topic, we're compelled to comment on the broader implications of what John Gravois, in his interesting Washington Monthly piece 'The Agnostic Cartographer', points to as the problem of Google's attempts at ambivalence when such disputes arise. The official Google policy is to avoid culpability in such disputes by relying on previous international conventions and providing multiple representations of places in order to placate both sides of a potential conflict. But what do these attempts at neutrality accomplish? Ultimately, Google's ambivalence serves to further obfuscate, and reinforce, the power of their maps. As J.B. Harley so astutely pointed out over twenty years ago, "Much of the power of the map, as a representation of social geography, is that it operates behind a mask of a seemingly neutral science. It hides and denies its social dimensions at the same time as it legitimates" (Harley 1989: 7). So by attempting to withdraw from "some of the world's touchiest geopolitical disputes", Google is at once depoliticizing and further extending the influence of their maps, as Gravois points out in his article. But, as Harley asserts, "the map is never neutral" (14) -- so why attempt to make it seem that way? The point being, just because Google Maps are produced and used somewhat differently than the hand-drawn maps of old, does not somehow mean that the nature of the map is fundamentally different and that the corpus of theory built up around critical cartography is no longer relevant. Indeed, the same ideas apply quite nicely to both traditional, expert-oriented cartography and what has become known as 'neogeography' or 'volunteered geographic information'. These issues and ideas seem to have been lost in all of the popular debate about Google and geopolitics, even in excellent summaries such as Gravois'. Maps, in whatever form they may take, remain important reflections of the world, albeit reflections of a particular, limited worldview and set of interests (in the case of Google, the interest in minimizing conflict and maximizing profits) that should not be ignored. At the same time, however, maps also have a powerful role in shaping the world in which we live; a role that arguably should not be left to giant corporations or powerful governments. Crampton, Jeremy and John Krygier. 2005. "An Introduction to Critical Cartography". 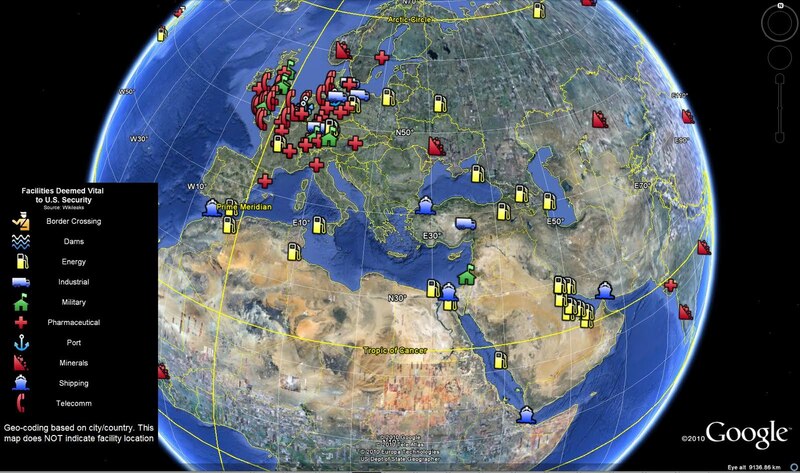 ACME: An International e-Journal for Critical Geographies 4(1):11-33. Harley, J.B. 1989. "Deconstructing the map". Cartographica 26(2):1-20. Wood, Denis. 1992. The Power of Maps. The Guilford Press.